MoqaLate works as a post-build step in your main app project. It looks through all the code files for any interfaces you’ve defined. For each of these interfaces it generates a class to act as a fake (mock), and copies these fakes to a directory in your test project. Right-click on MyAwesomeApp and choose Properties. 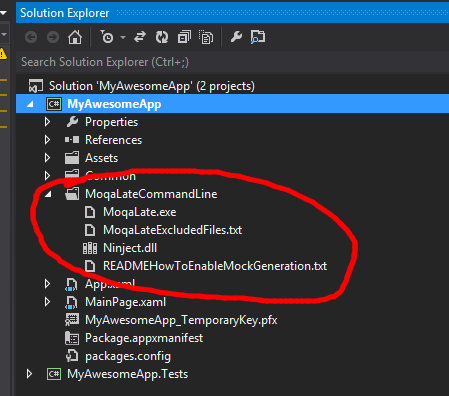 Goto the Build Events and add the following as a Post Build event: $(ProjectDir)\MoqaLateCommandLine\MoqaLate.exe "$(SolutionDir)$(ProjectName)" "$(SolutionDir)MyAwesomeApp.Tests\Fakes"
Now build the solution. There should be no errors. Right-click the fakes folder and choose Include In Project. 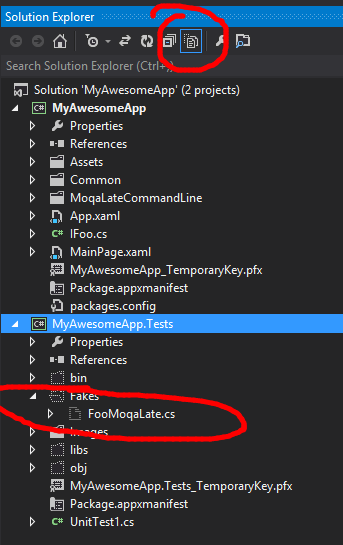 You now have a fake implementation of IFoo (called FooMoqaLate) that you can use in your tests as follows. The original article on MoqaLate is here. 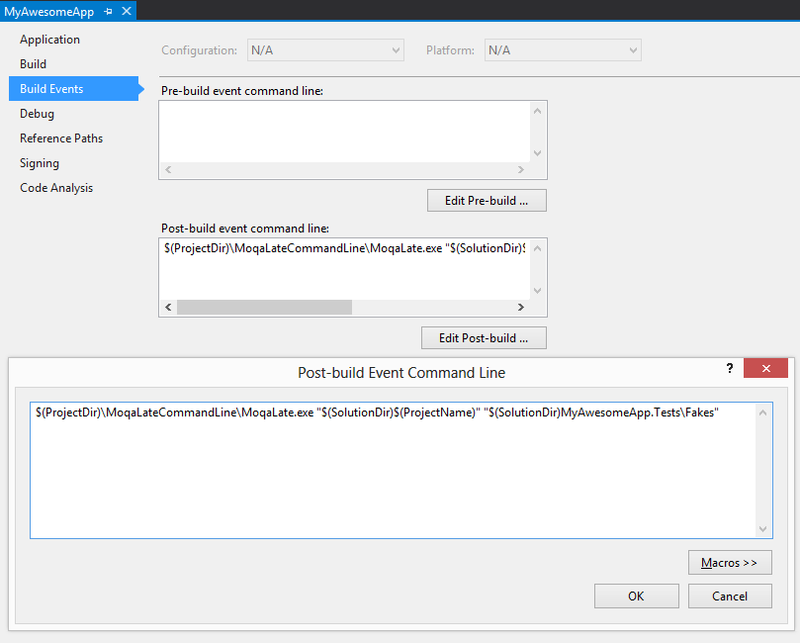 Please double check that MoqaLate.exe exists as expected, also that the post build event is all one one line. Also check file permissions and if using a locking(readonly)-style source control that the relevant folders/existing mocks are checked out. Does this work in WP8? Thx. Hi Molly, yes it does.